Halloran Springs is an unincorporated community in the Mojave Desert in San Bernardino County, California, United States. 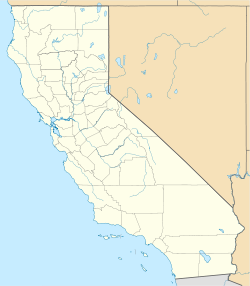 It is located on Interstate 15 between Baker, California and Las Vegas, Nevada approximately 15 miles (24 km) northeast of Baker. The ZIP code is 92309 and the community is inside area codes 442 and 760. As of the end of year 2014, the human population of Halloran Springs is one. In 2017, there does not appear to be any more residents and Halloran Springs, along with nearby Halloran Summit, can be classified as ghost towns. ^ "Halloran Springs". Geographic Names Information System. United States Geological Survey. Retrieved April 12, 2015.